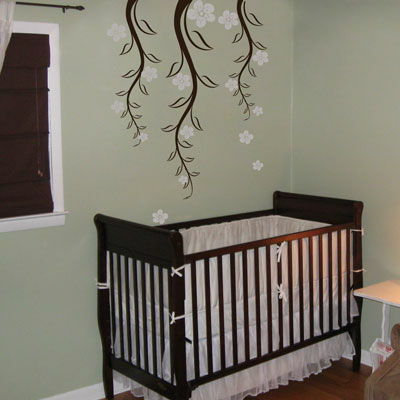 These beautiful vines with falling blossoms add elegance to any room you choose to put them in! Our wall decals are ideal for offices, living rooms, entryways, classrooms, or even your car! Vines without blossoms measures 30 inches wide by 40.5 inches tall. The 6 larger blossoms measure approximately 5 inches wide by 6 inches tall. The 11 medium size blossoms measure approximately 4 inches wide by 3.5 inches tall. The 9 small blossoms measure approximately 2.5 inches wide by 2 inches tall. An optional second color of blossoms is available for an additional charge. Vines and blossoms come separately for easier application. Practice decals are included with every order. These wall decals are fabulous! Just converted my office into a bedroom for the grandsons - 6 years old and a newborn. Turned out fantastic! Easy to install and look professionally done. I will definitely be buying more from Dali Decals for the rest of the house. Just wanted to say 'thanks' to you guys for being so easy to work with an doing such a great job on our stickers. I was in search of the "perfect" white, fluffy clouds for a serene, sky blue wall for our nursery and stumbled upon Dali Decals. I have to admit that the image online looked a bit photoshopped, so I was a bit hesitant to order them, but loved their other items online so I went ahead and did so. The big fluffy clouds are AWESOME! 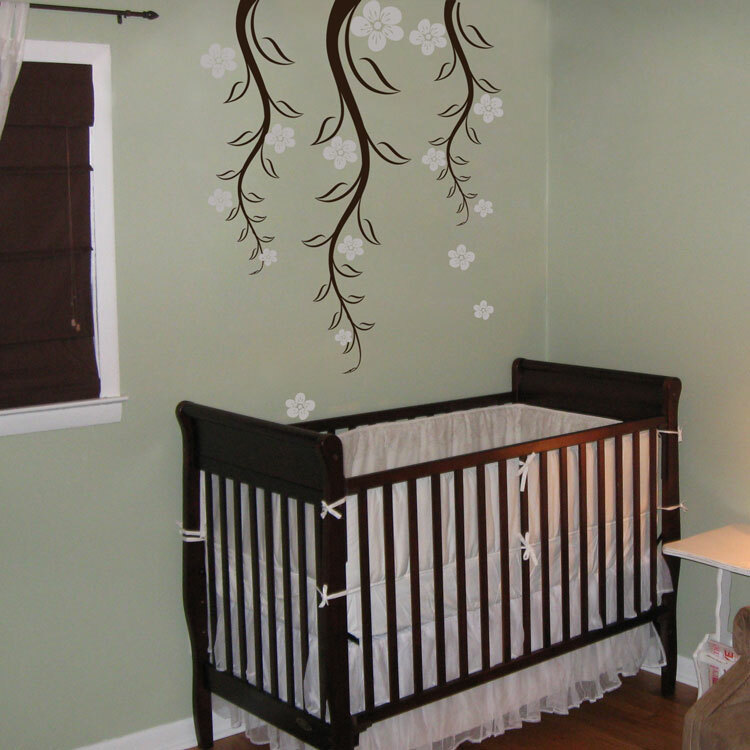 They look great and were easy to install - even at 9 months pregnant. Everyone who walked into that room immediately noticed the clouds and had tons of great things to say about their great look. We recently sold the home, and I was super sad to leave behind those cool clouds. I will definitely order again from Dali Decals. Great product, great packaging, easy instructions, and great customer service.